Happy Instant Pot Tuesday!! 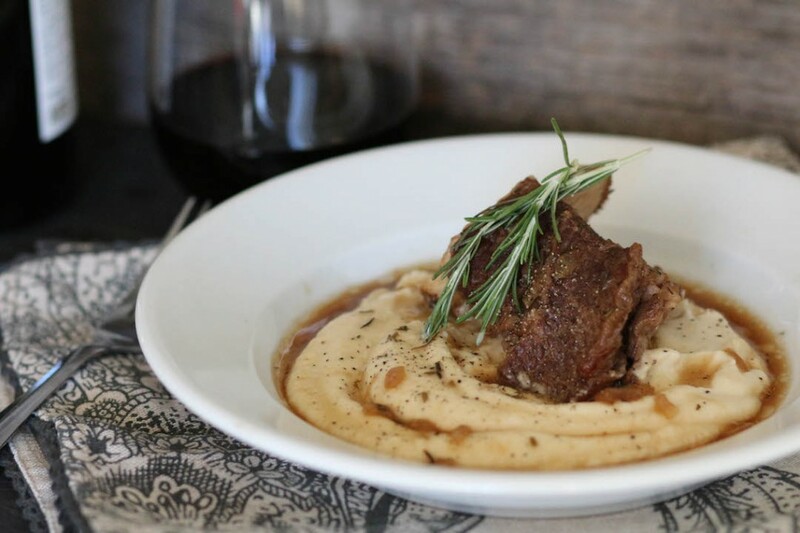 It’s time for yet another instant pot recipe and this one is STUPID EASY! I always get people asking if an instant pot is worth the money and it TOTALLY is. I use it at least once week now to make a new easy recipe or have a big easy dinner. It’s especially worth it when you’re having guests over and need to spend your time on your house being clean more than the food. I love mine so much and I really do use it more than my slow cooker! Speaking of easy, I just recently got these baby back ribs delivered straight to my doorstep with ButcherBox and didn’t feel like grilling them up for hours, which is why I threw them in the instant pot. And I get my newest ButcherBox today which I’m pumped about because I just put an add-on to my order for breakfast sausage and burger patties. I’ve been having a hard time finding good quality pork sausage at the store so I’m loading up every month in my ButcherBox so I don’t even have to worry about it! Plus burger patties make life way easier on a weeknight! So I’m a bit tempted to try out Amazon Fresh. Since I usually buy my groceries at Whole Foods and now Amazon owns Whole Foods, getting my groceries delivered with the same products that are at my normal grocery store is very tempting! My friend was telling me about it the other day and he says the produce is even more fresh than what you get at the store. And then you don’t end up making a ton of impulse purchases since you pick exactly what you need. I need that. I have a food impulse problem. I’ve seriously been drowning in work lately so taking out grocery shopping from my to-do list (since I do it multiple times per week) sounds extremely lovely. Have you tried it yet? You have to pay a monthly fee but my friend said he’s already saved so much by not buying those impulse purchases so it definitely evens itself out. I think I may try it out since they have a 30 day free trial! What do you guys think?? Remove the membrane from the bottom side of the ribs by running a knife under the skin and then use a paper towel to grip and pull back to remove. Season ribs with salt, black pepper and red pepper flakes on the meat side of the ribs. Then brush the ribs with 1/4 cup of BBQ sauce. Pour beef broth in the basin of the instant pot then place the rack on top (that comes with the instant pot) and place the baby back ribs inside the pot, standing on their side, wrapping around the inside of the pot. Secure the lid, close off the pressure valve, turn on and press manual to high pressure and press the up button until the time hits 30 minutes then let the valve naturally release (for more tender ribs) or quick release. I let mine naturally release for 10 minutes. While the instant pot naturally release, preheat oven to broil. Line a baking sheet with foil. When the valve has released, remove ribs and brush with another 1/4 cup of BBQ sauce then place in the oven to broil and brown for 5 minutes. 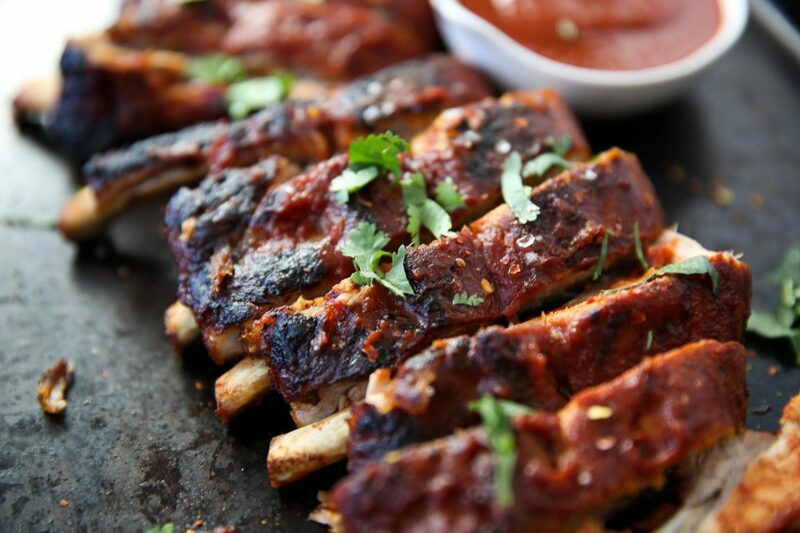 Serve with BBQ sauce on the side and garnish with cilantro. Oooh, I didn’t know about Amazon Fresh! thanks for the tip. I’m way worse at impulse buying when I’m online though. This could mean trouble! I’m glad to hear that you are using and enjoying your Instant Pot. It truly is a marvel for getting dinner on the table quick and I like to see the recipes you come up with. I have used Amazon Fresh before, and I definitely like the products and customer service. I live in Brooklyn (and I don’t have a car), so it’s basically impossible for me to grocery shop for more than a day or two. There are other grocery delivery options available in NYC, but their customer service and food options aren’t quite as good as Amazon Fresh. One major drawback to Amazon Fresh: they deliver the groceries in re-usable coolers and dry ice; you can either keep the coolers and exchange them when you get a new delivery (meaning you always have these coolers hanging around), or you have to call them to schedule a separate pickup (which can take up to 72 hours). I don’t have a ton of storage in my apartment (again, Brooklyn problems that you might not have in a house), so this is a big annoyance for me….yet I do keep ordering bc of the Whole Foods options and good prices on meats. that’s good to know! thanks for telling me about that part! When you are wrapping the ribs inside the instant pot, do you want to have the meat side on the inside or touching the sides of the instant pot? Or does it matter? My instant pot JUST came in the mail today. I’m so excited to use it but also terrified. I tried grocery delivery before they took over Whole Foods and I wasn’t impressed. The apples and avocados that were delivered were not ones I would have chosen in store. i was SO SCARED the first time i used it but they make it so damn safe nowadays. try watching a couple videos (nomnompaleo.com has some!) and that will definitely make you feel more comfortable! and good to know about the delivery! I love Amazon Fresh. I now grocery shop in my pajamas on Saturday mornings. I have gotten some messed up produce here and there, but they are the best about refunds. They don’t question it. You just have to go online and select a reason for a refund. They have local products within Amazon Fresh, which is fun. I can get seafood from the local seafood market, some things from farmers markets, etc. It’s definitely worth giving it a shot. good to know!! excited to try it sometime soon! Can you make eggs in the instant pot you linked!? I have been looking at buying one, but the 7-in-1 doesn’t have that feature, but the 9-in-1 does? I am so confused! how are you trying to cook eggs? like hard boiled eggs? 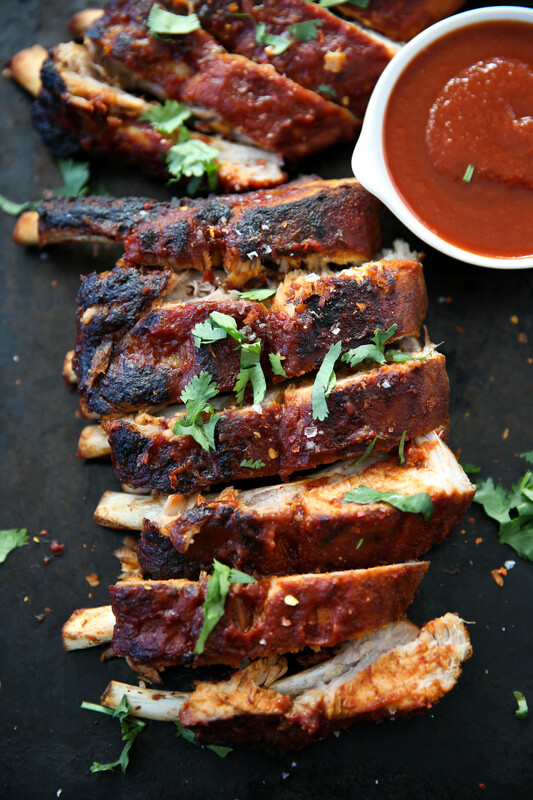 Super easy ribs that are so tender and delicious! Thanks for the recipe!! I tried Amazon Fresh for the first time and while I loved it… I HATED the fact that I would have to deal with or throw away the ice packs and the cooler packaging they use. So I am not sure if I am going to continue with it. I just can’t deal with more garbage and waste. I will say that I was pleasantly surprised by the cost of meat and veg. I definitely spent less than if I went to the store. They didn’t have everything that I buy. So I don’t think I am going to do it on a regular basis but it would be killer for times when I am super busy. Hello!! I don’t have an instant pot, would I be able to do these in a crock pot? Her recipe calls for 8 oz liquid. The instant pot manual says a minimum of 18oz of liquid is needed. Can anyone provide any insight? We just got our instant pot for Christmas and this is by far the best recipe we have tried so far. The ribs were fall off the bone and perfectly seasoned. I look forward to trying your other instant pot recipes. Thanks Juli! yay!!! so happy to hear that, meghan! 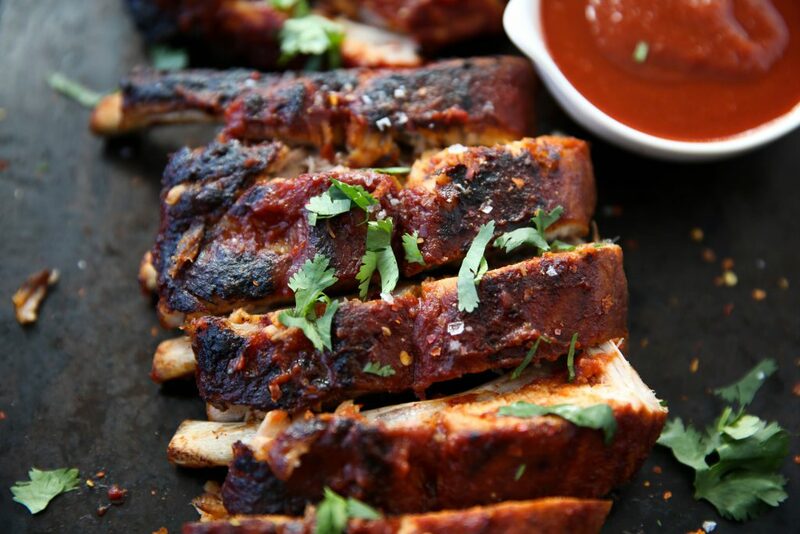 Used this method to make ribs on Sunday – they were amazing! So excited to make them again! so glad you liked them, deb!! Hi Juli! 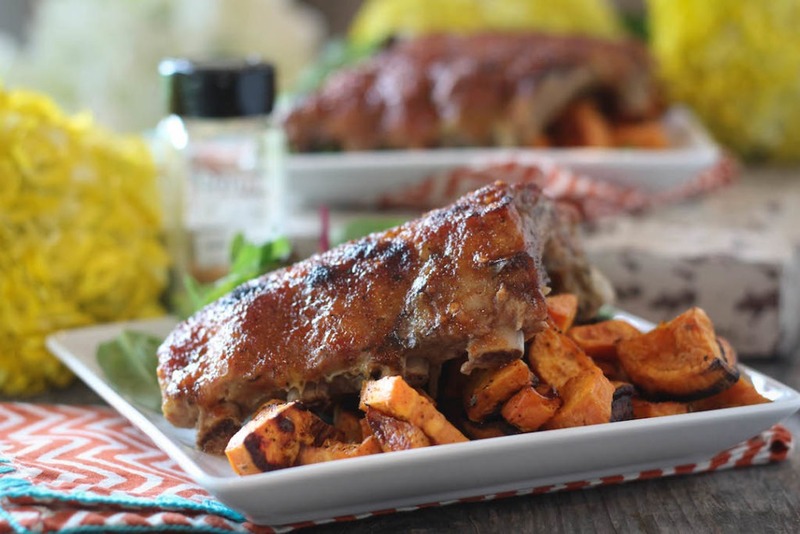 Do you cut the ribs apart before you line them around the instant pot? I would assume you’d have to right? I’ve never cooked ribs before so I wasn’t sure if you keep them all together or slice apart prior to cooking.. thanks!!! I’ve got a monthly special of boneless country style ribs coming from Butcher Box this month; can this recipe be used for those? Thanks! if you can fit it in your instant pot! the cooking time will have to be altered as well! Does the time change at all for a 3 lb rack of ribs? 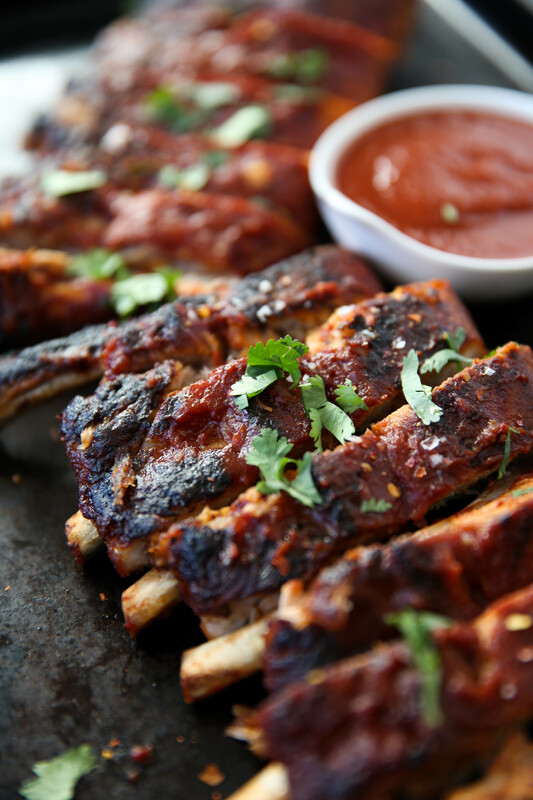 Oh wow these ribs are amazing. Too bad my @waldenlocal didn’t give me a larger portion. So easy to make. I made them with smashed potatoes and roasted veggies. Definitely making these again. glad you liked the recipe Liz!